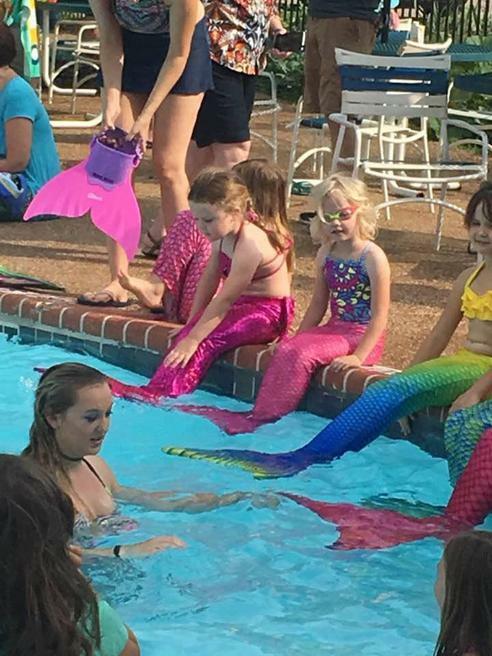 The MerFriends regularly host Mermaid Parties which are MerFriend events open to the public. 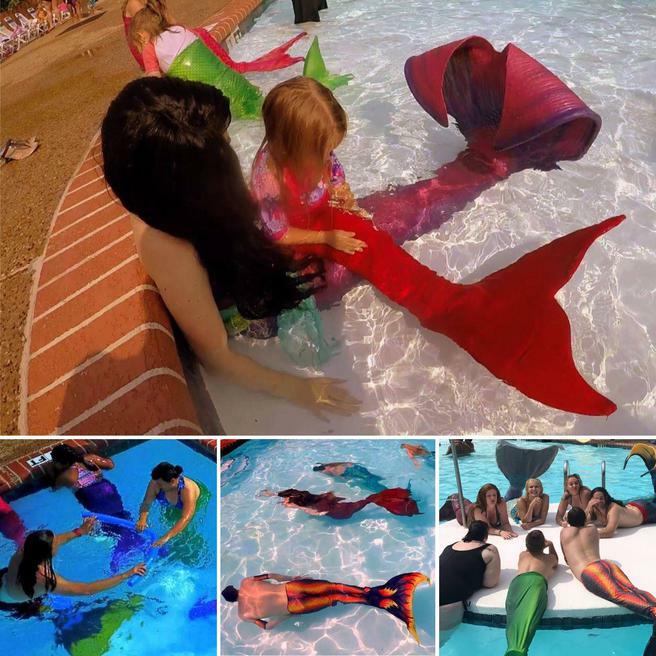 We welcome male and female, swimmers of all abilities to come swim with REAL merfolk, try on a fabric tail, take a quick class with instructors from The Mercademy, pose for underwater photos and videos, and make new mer-friends! We usually conclude the party with a demonstration or short show from The MerFriends performance troupe. 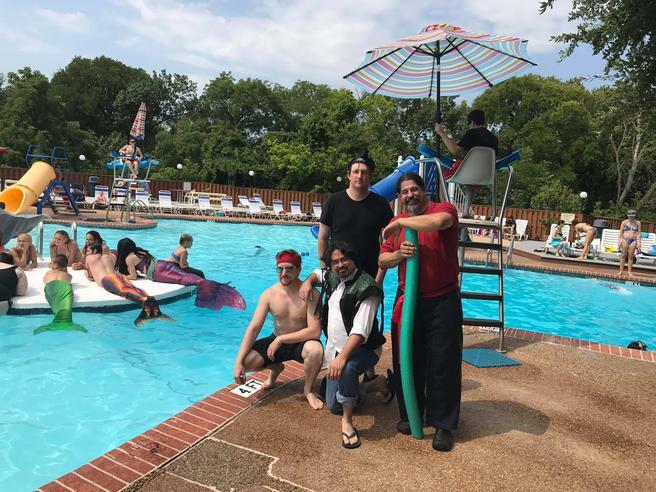 Our merfolk are accompanied by our faithful pirate merwranglers- even merfolk need a buddy when swimming- and lifeguards are at a ration of 1:10 for extra safety. Lifejackets are provided at no charge as well for swimmers who need them. Merlings of all ages are welcome at ANY Mermaid Party, but we designate for specific ages as a guide so you know the activities planned.